In September 2018, the first SG 8.0 167 DD prototype was installed and commissioned according to plan in Østerild, Denmark. 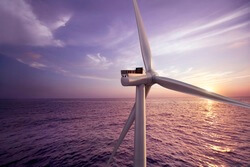 Since being introduced seven years ago in 2011, the Siemens Gamesa Offshore Direct Drive wind turbine platform has accumulated the equivalent of 450 years combined operation. This 12.5 TWh of power generation is equal to the energy used by all Taiwan households for three months.